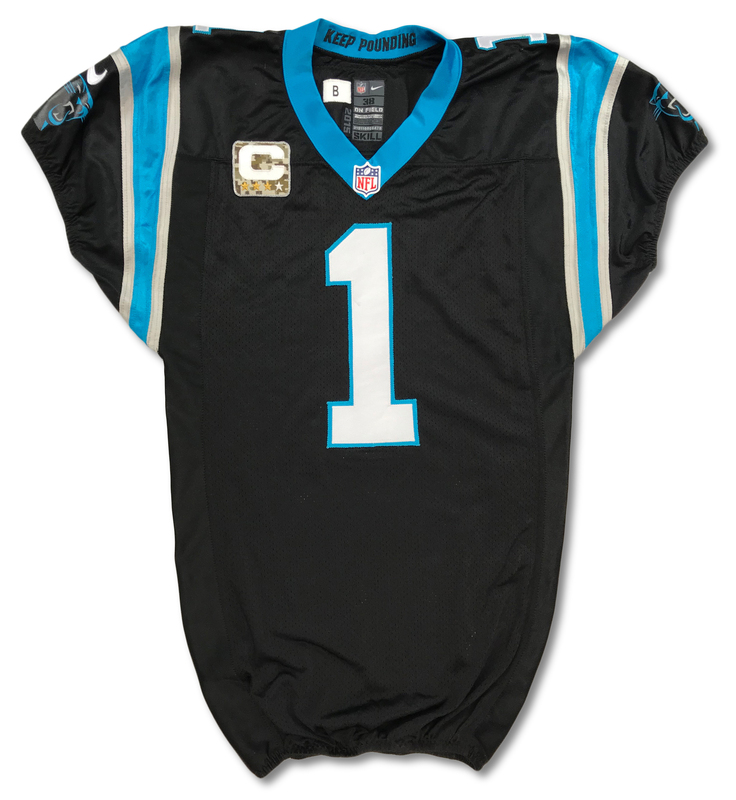 This black home Carolina Panthers jersey was worn by Cam Newton during his 2015 MVP season. 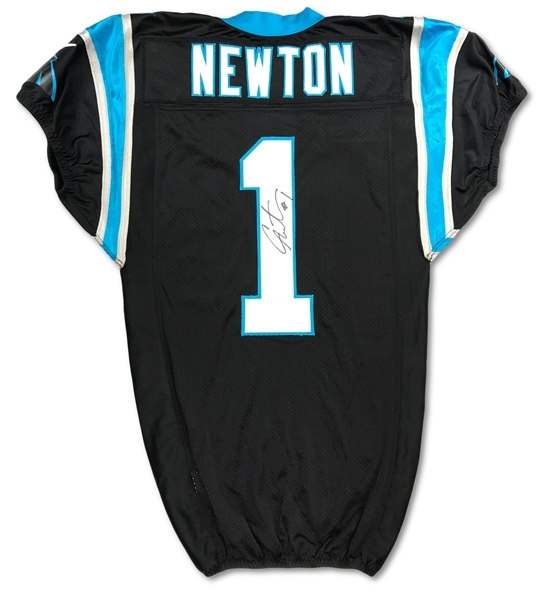 The jersey photo matches to a contest versus the Green Bay Packers on November 8, 2015 where Newton lead the Panthers to victory in superman like fashion with 354 total yards and 4 total touchdowns. 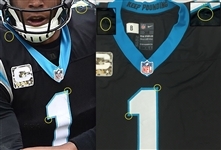 The jersey shows solid game use with remnants of face mask transfers and a small repair on the left shoulder which can be seen in the game photos. 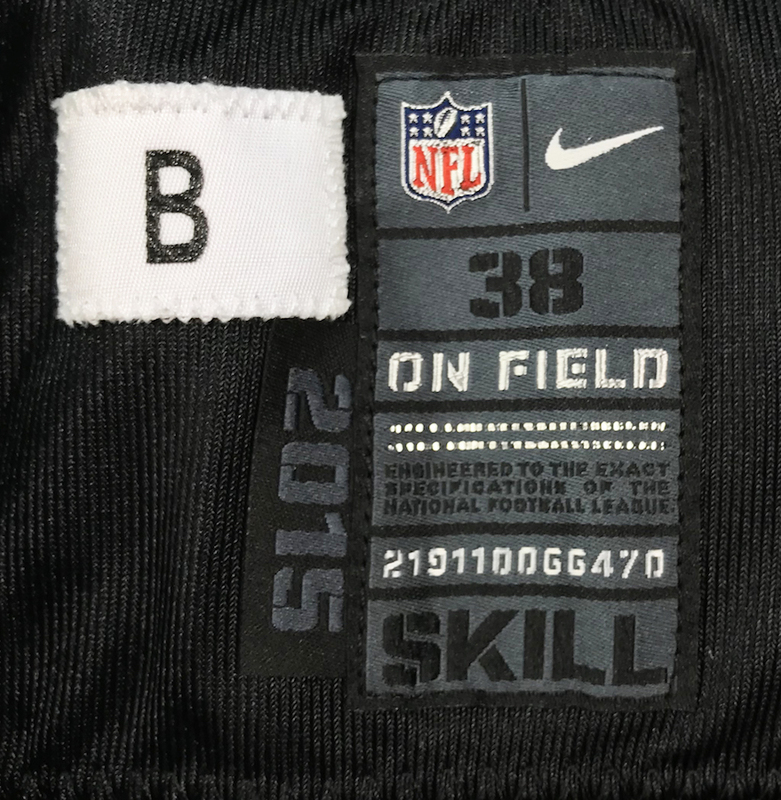 The size 38 Nike jersey is tagged "2015", "SKILL" indicating the year of manufacturing and the cut of the jersey. The garment bolsters a beautiful 3-star gold trimmed camouflage captain's "C" patch and a bold and crisp signature on the rear "1" signed in black sharpie. 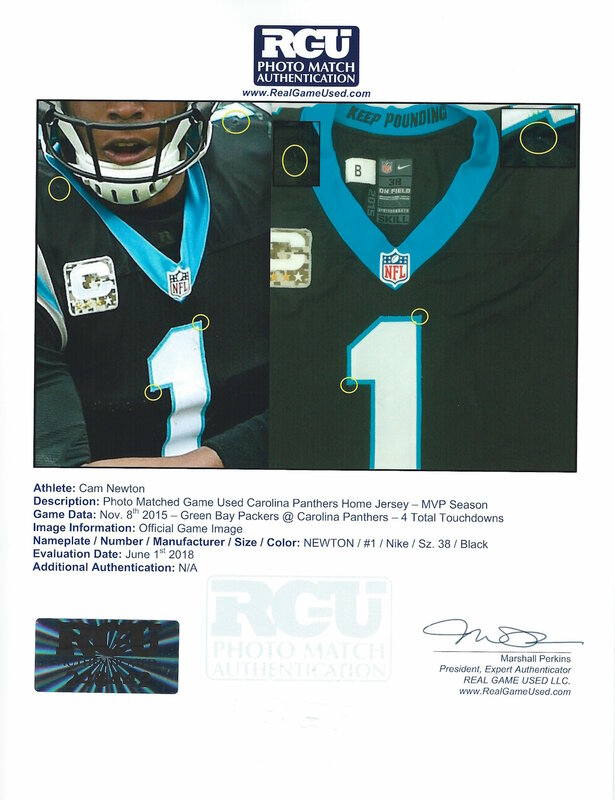 The jersey is accompanied by a photo match letter of authenticity from Real Game Used (RGU) and the signature is pre-certified by PSA. The 2015 NFL season was Cam's best as he lived up to the "Superman" nickname and won the NFL's Most Valuable Player award while leading his team to a 15-1 record and a trip to the super bowl.